Sometimes you need a yummy snack packed with good-for-you filling ingredients to get you through the day. 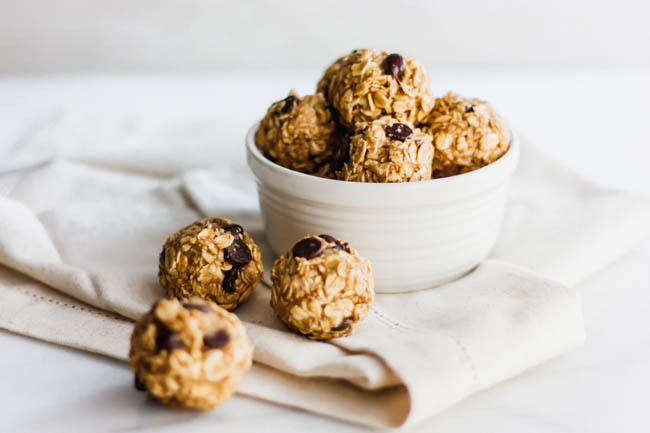 These delicious bites are filled with banana, almond butter, and whole rolled oats to keep you going all day! Mash the banana in a bowl and add the maple syrup and almond butter. Stir everything together well. 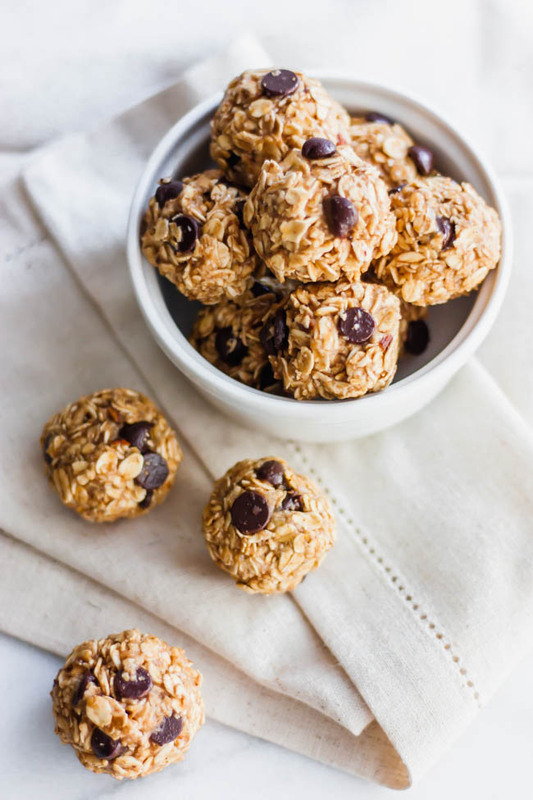 Pour in the rolled oats and chocolate chips and combine well. Roll the mixture into balls with about 2 tablespoons of the mixture in each. Lay on a baking sheet and pop in the fridge for about 2 hours to set up before devouring!